The main conference building is the Palazzo del Mediterraneo (University of Naples ‘L’Orientale’). Registration, book exhibitions, and most talks will be scheduled in this building. Naples is easy to get to by road, air or rail. It has an international airport with flights to most European countries, good rail links with fast trains every hour from Rome and many other Italian cities, and a motorway connection to the north, south and east of Italy. Here are the links to help you make your choice of means of transport. From the International Airport of Napoli Capodichino, the best way to reach the conference building is by taxi. The journey will take about 20 minutes and will cost around €20 if you ask for the fixed rate at the start of the journey. By public transport: take the Alibus to "Napoli Piazza Municipio" just outside the exit of the Arrivals Area at the Airport. The Naples Alibus Airport Shuttle transports passengers between Naples Capodichino Airport and the city centre. The UnicoAlibus tickets cost €5 and can be purchased on board. From the train station ‘Napoli Centrale’ or ‘Napoli Piazza Garibaldi’ (the same location) the best way to reach the conference is by foot; otherwise, by taxi, the journey will take about 10 minutes and will cost roughly €10 if you ask for the fixed rate at the start of the journey. Single and hourly tickets can be purchased at tobacco shops (tabaccheria) and newspaper stands. There are also ticket machines at subway stations as well as at the Bus Terminal (stazionamento) and selected bus stops throughout the city. More information can be found here. Naples Pass is a card dedicated to tourists visiting Naples, a key that will open doors to the best way to visit and enjoy the city. Thanks to its partnership with Campania Artecard, Naples Pass can offer you a season ticket for Naples public transport along with discounts and reductions in the main museums and attractions of Naples, but also in many restaurants, pizzerias and partner activities. 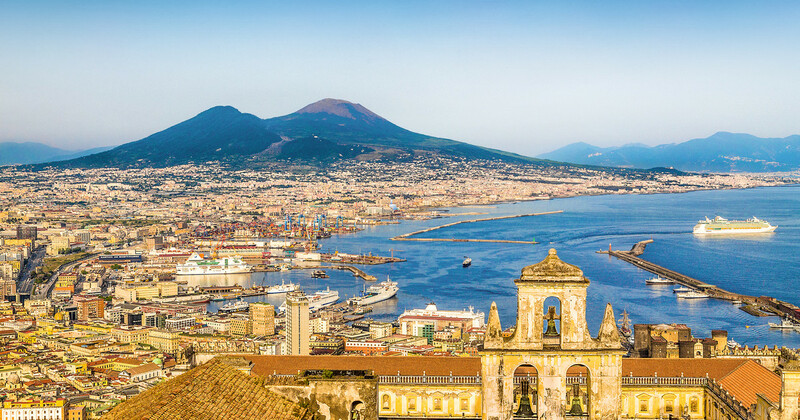 The Naples Pass can be purchased before departure and activated once you arrive in Naples. More information can be found here. All non-EU citizens intending to enter Italy should provide the documentation required to justify the reason and duration of their stay, as well as, in some prescribed cases, the availability of adequate economic means and lodging. For information, please see the website of Ministry of Foreign Affairs of Italy. We can help you with an official invitation letter. Please check your passport’s expiry date.